Thanks to the latitude of its stunning landscapes, Norway is one of the best holiday destinations on earth to see the Northern Lights. Its Arctic regions are even home to the world’s first observatory dedicated to studying this natural phenomenon, built in 1899. However, its dancing greens and purples have been informing Norwegian culture since well before the 19th century, with mentions in Old Norse texts dating back to 1230. Today, even in the age of computer graphics, the lights still stand out as possibly the world’s greatest visual display. They’re certainly the largest, capable of filling entire skyscapes with their sweeping tendrils; it’s not uncommon for the same lights to be spotted over three hundred miles away. And, unlike your Viking ancestors, you won’t have to trek for days over ice fields to see them. You’re going to want to get away from civilisation’s light pollution, but all the same, Norway’s Northern Lights have never been more accessible. 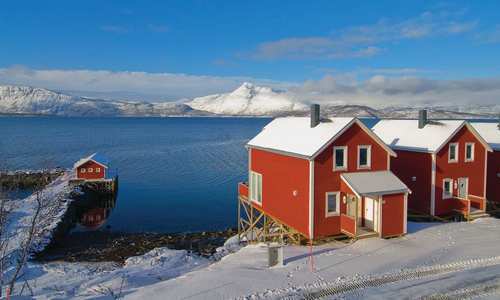 Take Tromso for instance - despite its subarctic location, it enjoys a relatively temperate climate thanks to warming Gulf Stream zephyrs. For the aurorae themselves, while it’s possible to see then from above the city itself, it’s best to head away from the lively centre. Choose your favourite mode of transport: snowmobiles, four-wheel drives or treks and sleds on overnight excursions or evening jaunts. To get properly warm, head into one of its convivial taverns, serving local microbrews on tap. You can also combine the journey with a husky sledding trip if you’re chasing adventure. For more adventurous holidays there’s Svalbard, Norway’s archipelago sitting some 600 miles off the mainland; it’s almost equidistant to the North Pole. Remote is an understatement. Its blue-tinged icebergs and craggy peaks – the home for quite literally thousands of polar bears – are a fitting backdrop to some of the best Northern Lights views. Tear your eyes from the night’s sky and you’ll be able to find its waters full of whales, walruses and seals. 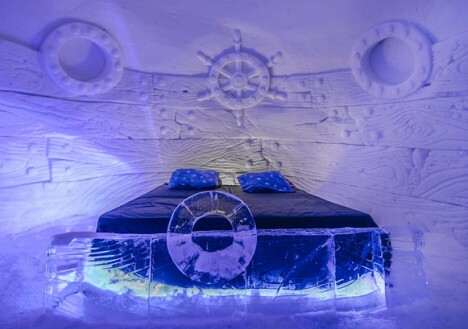 You’ll undoubtedly be familiarised with the Arctic’s main form of transportation, the snowmobile, which you’ll ride out to spot the celestial waltz and the polar bear on its daily hunt. 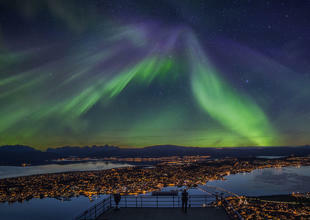 It’s important to know when Norway's Northern Lights are at their most active in order to plan a successful holiday. The best time of year to spot them is from between September and March, with the Norwegian winter offering the best chance when it’s both cold and dry. This means unclouded skies making for uninterrupted viewing while longer nights give you the biggest viewing window. However, the lights are actually at their most active in autumn, when warmer weather makes for comfortable evenings in the open air and activities such as hiking and mountain biking are set to the blazing colours of seasons change.